Before our move to Sydney, little Ms and I were invited to the Bobux re-brand and new Play range Melbourne launch event at Together Fit in Williamstown. Little Miss wasn't able to attend as she had daycare that day but little Mister came along and we had a great time. 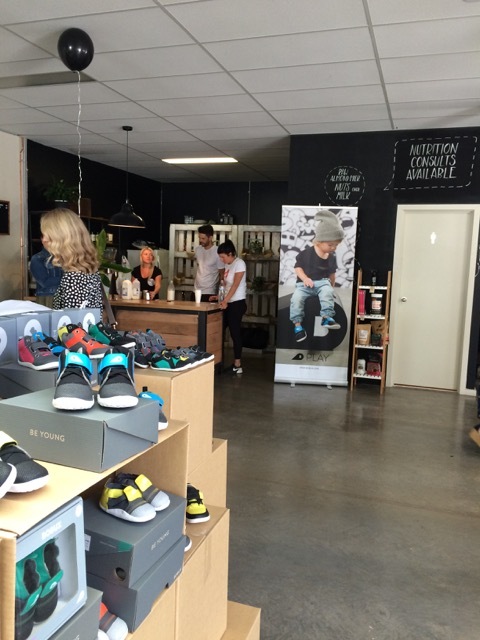 Bobux is a New Zealand children's footwear brand that has been around since 1991 and one that has been always been striving to learn about healthy foot development to design kids' shoes that are both stylish and good for kids. I have always checked out Bobux at shops but for some reason or another, we never seemed to be able to get little Miss' size! Before I attended the event, I checked out the new active kids Play range online and asked Little Miss what she thought of the Blaze shoes and which ones she liked. She pointed at the pink Blaze Unicorn and the green Blaze Hi Finch shoes but really liked the pink Unicorn ones. Unfortunately on the day, her size wasn't available in pink Unicorn but I picked up a pair of the green Hi Finch for her to try instead which she loves. I also picked up a pair of black & white Origin Xplorer for little Mister. Cannot wait for him to wear them when he starts crawling and walking, such cute kicks! 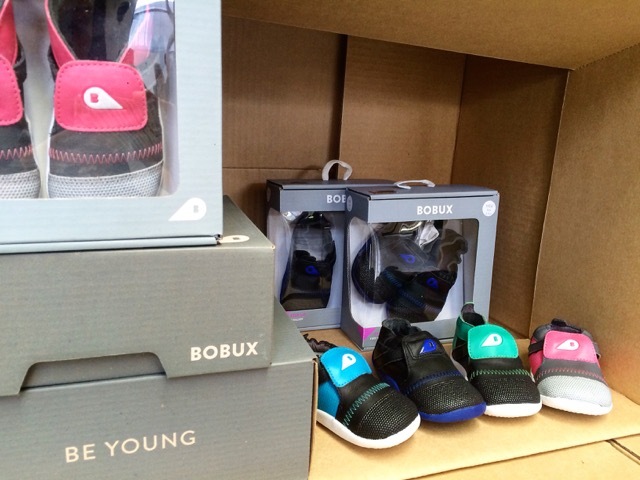 When Bobux were researching and developing their new Play range, they looked at how kids were using their shoes: running, jumping, kicking and climbing. 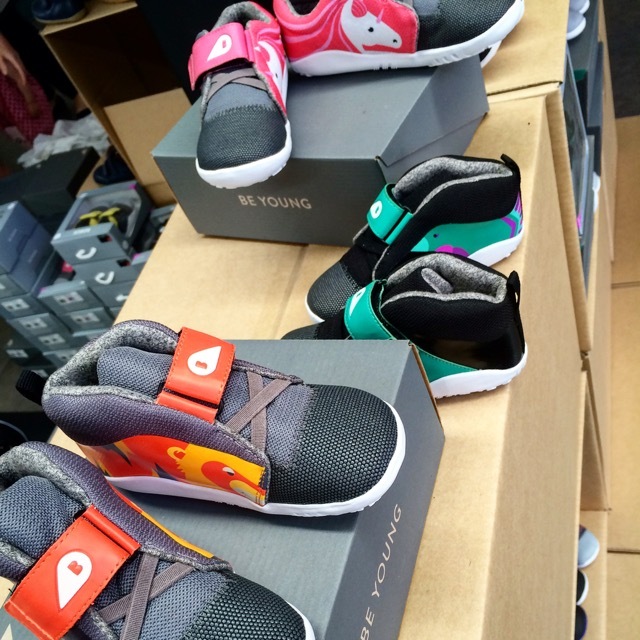 They consulted parents what they thought and wanted from a pair of shoes for their children. One of the interesting comments from some parents is how their children often put their shoes on the wrong foot. Bobux decided to put an eye catching feature on their new Blaze range - an illustration on the inside of each shoe to help children wear their shoes on the right foot. Recently, little Miss put her new shoes to the test. She had no problem putting them on the right way thanks to the kissing birds! I told her to make sure the birds were kissing when she put them on and that did the trick. It sounds like such a simple thing but half of the time little Miss puts her shoes on the wrong foot especially when she's at daycare as she rushes around which worries me especially if she's been wearing her shoes incorrectly all day !! Correct shoes on, we put them to the test in our apartment gym. Little Miss said they were comfy and light. I got her to walk with them as she would down the street. The toe grip on these shoes stopped her from tripping over which is great as she has a habit of doing that. The toe cap on these shoes is a great idea as it will protect the front of her shoes when she does trip over when running or playing. Little Miss was pretty happy to try her new kicks on the treadmill and surprisingly wanted to leave her shoes on as she has another habit of taking her shoes off as soon as we sit down somewhere or resists putting brand new shoes on. Overall little Miss gave her new pairs of Bobux a big tick of approval. I do too, I love the new logo and the new Blaze range. Love the design, the material, the sole, the grip they provide but most importantly the research that has gone into designing these shoes to suit action heroes and little runners like little Miss. I also love that these shoes are non toxic and podiatrist endorsed. Cannot wait for little Mister to test drive his! If you are keen on checking out the new Play range from Bobux, head to their website. Enter the code Media_Pass at the checkout to get FREE shipping if you get your little ones a pair.